Long time readers know how influential George MacDonald has been on my faith journey. 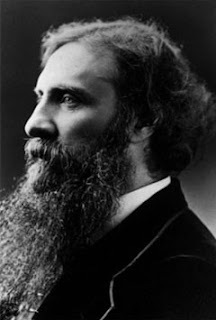 Some of my writings about George MacDonald can be found on the sidebar of the blog homepage. I'm starting this series with MacDonald as he was the first and most significance theological influence upon me. The theology I grew up with was sectarian and fundamentalist. To be clear, I loved my childhood church and remain in love with my faith tradition. But in college I grew increasingly disillusioned with the narrow theology of my tradition. Looking for some answers in college I discovered George MacDonald. It was an unlikely meeting, a Church of Christ kid finding life in an obscure Scottish novelist. In a nutshell, here's what MacDonald gave me: The courage to believe that God is love. And by courage, I mean theological courage. The courage to look at traditions, creeds, doctrines, theology, and the Bible through the prism of God's love. Because of George MacDonald love became and remains my guiding and regulating theological criterion. To be sure, this fierce uncompromising commitment to the confession that "God is love" has led me into troubled and heterodox waters. I have theological tools in place that help me with the theological temptations that I have to face. Regardless, it's because of George MacDonald that my guiding theological impulse is always to ask, "How is God going to be better than we can possibly imagine?"